AD Piston Ring manufactures a Tri-Lap Seal Piston Ring, which is a custom joint configuration, developed by us to seals on three surfaces. This ring is an excellent seal for hydraulic, pneumatic and steam applications and keeps leakage to the absolute minimum. It is ideal for use in sealing applications requiring absolute minimum leakage. It’s an excellent tri-directional seal, it seals on three surfaces. Tri-Lap Seal piston rings can be made of cast iron and bronze aluminum materials. Call us to best determine your application and material. 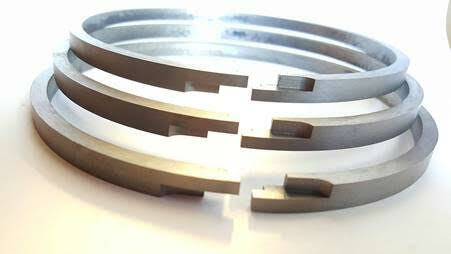 Tri-Lap Seal piston rings are available in 2 inches to 30 inches.